NOCVA welcomes Chamorro veterans and their supporters to become members of NOCVA and join our mission to serve all Chamorro veterans and their families. In addition to becoming members of NOCVA, Chamorro veterans can be included in the National Registry of Chamorro Veterans. Through their participation in the national registry, Chamorro veterans will help provide a more accurate picture of the Chamorro veteran experience. 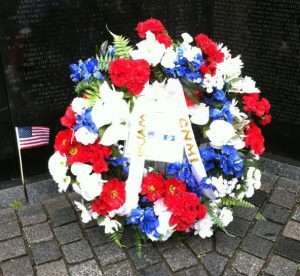 When they become members of NOCVA, Chamorro veterans can also be added to the National Registry of Chamorro Veterans. NOCVA established the National Chamorro Veterans Registry to document the complete history of Chamorro veterans. The national registry includes a database of basic information about Chamorro veterans, from the earliest recorded members to the most current servicemembers. NOCVA will not release any information you submit on this form to anyone or any group without your knowledge or permission. Information you submit to become a member of NOCVA will be kept confidential and used by the National Office for statistical purposes only (for example, to show demographic information about Chamorro veterans and their supporters, such as number of members, state of residence, age group, and type of military service).